Drivers travelling south on the M1 in Northants this morning have been stuck in queues of traffic. There is queueing traffic and delays due to the Towcester roadworks on the M1 southbound from junction 16 for Daventry to junction 15A for the Northampton services/Towcester. 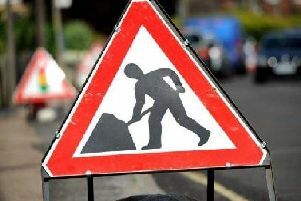 Maintenance work on the A5 in Towcester began today (Monday), resulting in the temporary closure of the road. A new carriageway surface is being put down, along with improved drainage to prevent flooding, and new kerbs, road studs and road markings. The work, which is due to last until November, is taking place on the A5 from the road bridge over the River Tove southbound towards the junction of the A5 with Marlow Road, Towcester. It will also include the reinstatement of a trench over a gas main that runs between the south side of the junction at Brackley and Northampton Road and with The Lindens. Highways England are closing the road in order to keep the workforce and customers safe. Work will take place Monday to Friday, between 7am and midnight; Saturday, between 7am and 5pm; Sunday, between 8am and 4pm. Pedestrian access will be maintained at all times and businesses will be open as usual. Highways England project manager, Dean Holloway, said: “Motorists will benefit from safer, smoother journeys for many years to come thanks to this work. “We’ll do our best to minimise any disruption and have agreed to increase our usual working hours so we can get the job done as soon as possible. All planned roadworks may be subject to change due to weather conditions or unforeseen circumstances. for southbound through traffic – from Tove roundabout north along the A43 to M1 junction 15a, then M1 south to junction 15 and A508 south to the A5 at Old Stratford roundabout.